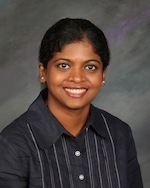 Ms. Janardhanan specializes in prosecuting patent applications on computer software technologies. Her extensive technical experience enables her to help clients protect complex intellectual property. Ms. Janardhanan is the author of several technical research papers in the area of speech signal processing, including wideband speech enhancement, comparison of quality of noisy telephone-band with noisy wideband speech signals and spectral estimation. Ms. Janardhanan’s Ph.D. studies focused on speech enhancement in noisy wideband speech signals for a single-channel speech communication scenario. She was a teaching assistant for a Masters of Science course in “Advanced Digital Signal Processing.” She also co-supervised digital communication labs and two master theses (in English and German languages). Her other areas of expertise include: statistical signal processing, system identification, information theory, cryptography, optical communication, wireless communication, and computer networking.